Shannon has over 5 years’ experience in conveyancing and Real Property matters. When conveyancing is all you do, you get really good at it. She is living proof. Notwithstanding, she continues to gain valuable experience and exposure in the field and guarantees a sound understanding of the processes and procedures that are critical to ensuring clients’ needs are met promptly. Shannon undertakes all areas of property conveyancing including residential contracts for house and/or land as well as off-the-plan land and units. She has worked on leases – private, commercial and retail – as well as mortgages and buying and selling of businesses. 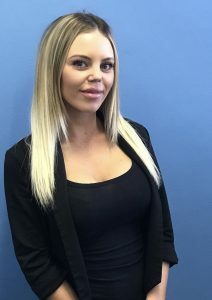 Her knowledge and experience in the area is broad and she is proficient in dealing with the pressure of numerous transactions and settlements on a daily basis. Shannon is passionate about service. She looks after her clients personally and when you deal with her she is always there for you. She takes pride in her attention to detail and efficient work practices, helping to ensure clients’ property transactions run as smoothly as possible.